Avendus advises Orchestro on its strategic acquisition by E2open. E2open, the largest and most comprehensive supply chain operating network, today announced that it has acquired Orchestro, the leading provider of demand signal repositories and preemptive analytics for retail and Omni-channel fulfillment. 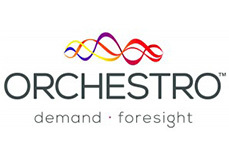 Orchestro, founded in 1999, connects with retailer Point-Of-Sale data and harmonizes with syndicated, internal ERP, and 3rd party causal data sources to provide actionable insights. With over 210 global brands from multinational manufacturers including Newell Brands, Del Monte, and General Mills, and their Omnichannel retail partners rely on Orchestro’s analytics to improve on-shelf availability, promotional effectiveness, new product introductions, and forecast accuracy. Founded in 2000, E2open provides the largest and most comprehensive Supply Chain Operating Network, including a broad suite of collaborative supply chain solutions. Leading global enterprises rely on E2open to provide greater end-to-end visibility, more accurate data and insights, and real-time business process orchestration across complex, multi-enterprise trading partner networks. The Avendus Group (Avendus) is a leading provider of financial services with an emphasis on customized solutions in the areas of financial advisory, capital markets, wealth management, credit solutions and alternative assets management. Avendus relies on its extensive experience, in-depth domain expertise and knowledge of the regulatory environment, to offer customized solutions that enable clients to meet their strategic aspirations. Avendus has consistently been ranked among the leading financial advisors by overall number of deals. It has a strong track record of cross border transactions and has helped multiple clients benefit from opportunities across geographies. Avendus’ wide range of clients is testimony to its ability to serve its corporate clients throughout their life cycle – from growth stage funding to complex, large sized transactions later in the cycle.